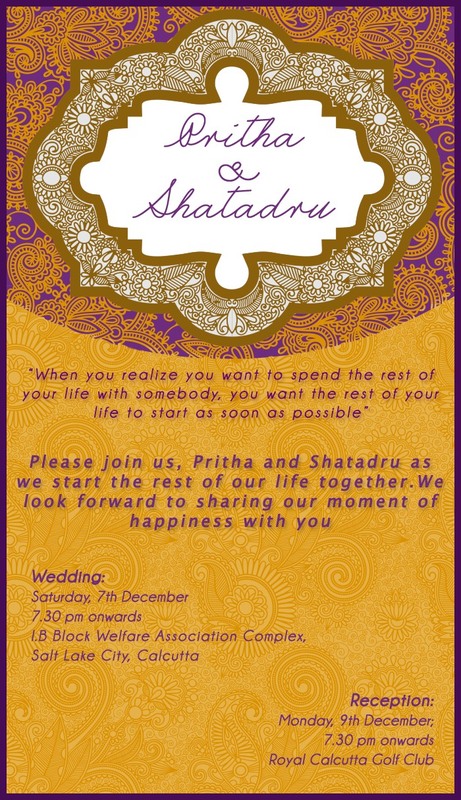 Designed two wedding invitations for my close friend Pritha and her soon to be in-laws! Both the designs are very Victorian England with lace and paisley designs. The colour combination is also very regal! Wedding Venues: Not only do we have ideas for one-of-a-kind wedding venues as well as established wedding venues in your area, we have some of the very best wedding decoration ideas and wedding theme ideas for once you have nailed down the venue. Pingback: Da-Magix | All things Deepa | » The Year That is Coming to the Close!